After the Spinners and the O’Jays, The Stylistics was the leading Philly soul group produced by Thom Bell during the early 1970s. The band had 12 straight Top 10 hits, including You Are Everything , Betcha By Golly , Wow , I’m Stone In Love With You , Break Up To Make Up and You Make Me Feel Brand New . 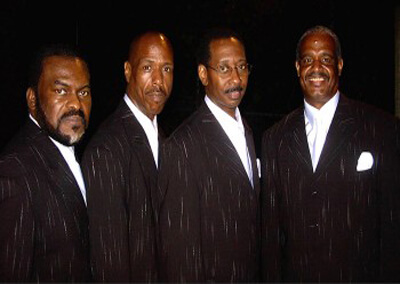 Of all their peers, The Stylistics were one of the smoothest and sweetest soul groups of the era. All of their hits were ballads, graced by the soaring falsetto of Russell Thompkins Jr. and the lush yet graceful productions of Bell, which helped make the Stylistics one of the most successful soul groups of the first half of the 1970s. 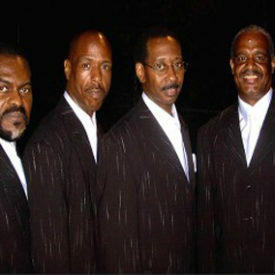 The Stylistics formed in 1968, when members of the Philadelphia soul groups the Monarchs and the Percussions joined forces after their respective band dissolved. The Stylistics began working with producer/songwriter Thom Bell, who had previously worked with the Delfonics. The Stylistics became Bell’s pet project and with lyricist Linda Creed, he crafted a series of hit singles that relied as much on the intricately arranged and lush production as they did on Thompkins’ falsetto. Every single that Bell produced for The Stylistics was a Top Ten R&B hit, and several were also Top 10 pop hits. Following You Make Me Feel Brand New in the spring of 1974, The Stylistics broke away from Bell and began working with Van McCoy, who helped move the group towards a softer, easy listening style. In 1976, they left Avco and signed with H&L. The group’s American record sales declined, yet they remained popular in Europe, particularly in Great Britain, where Sing Baby Sing , Na-Na Is The Saddest Word , Can’t Give You Anything , and Can’t Help Falling In Love were all Top 5 hits. The Stylistics continued to tour and record throughout the latter half of the 1970s, as their popularity steadily declined. In 1980, Dunn left the group because of poor health, and he was followed later that year by Smith. The remaining Stylistics continue performing as a trio.